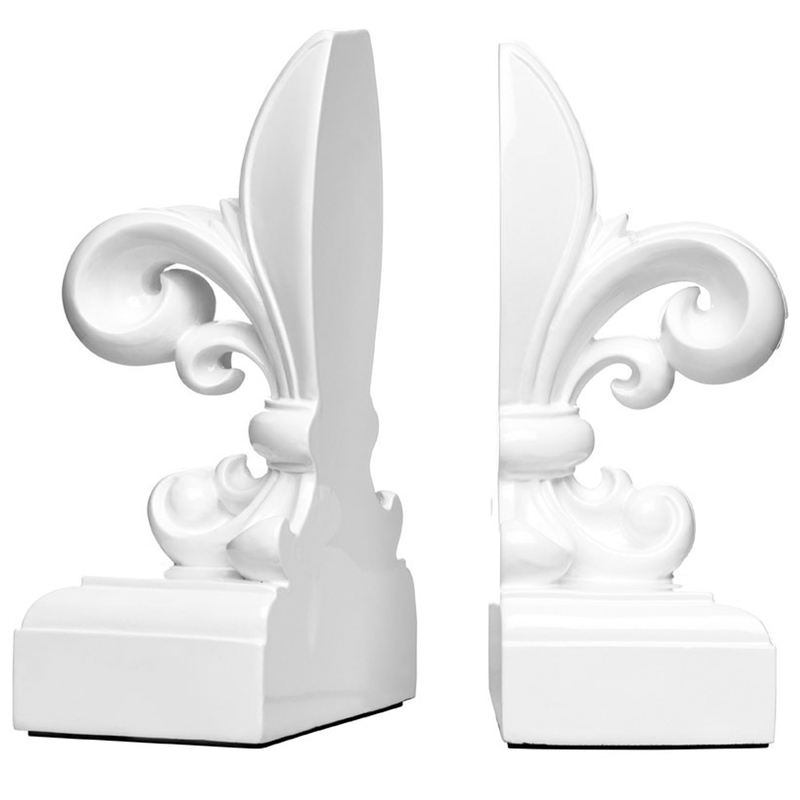 make your home feel a lot more furnished and complete by introducing this gorgeous Set Of Fleur-De-Lis Bookends. These bookends have a stunning design that consist of an elegant Fleur-De-List design. These bookends are created from a strong polyresin and is given a stylish white colour to enhance its antique french style.